One of the many great things that can happen when you live in a city with as much going on as London is happening upon the unexpected when running mundane errands. 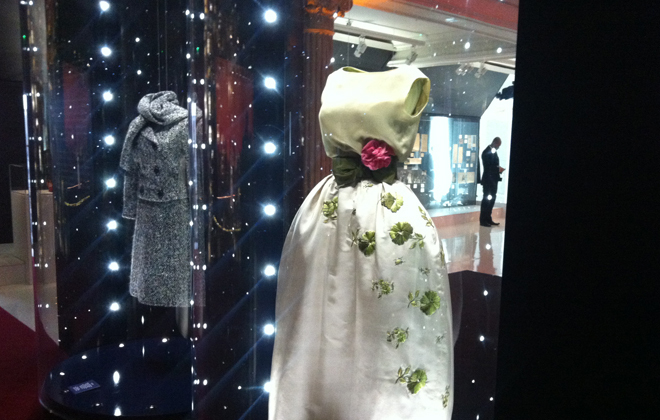 I was quite surprised not only to find myself in Harrods (which I don’t find myself in very often) but also when I stumbled upon a wonderful exhibition about Dior. The exhibit is immense, quite amazing, and it casts positive light onto the iconic fashion house that hasn’t had the best PR stories to tell of late. 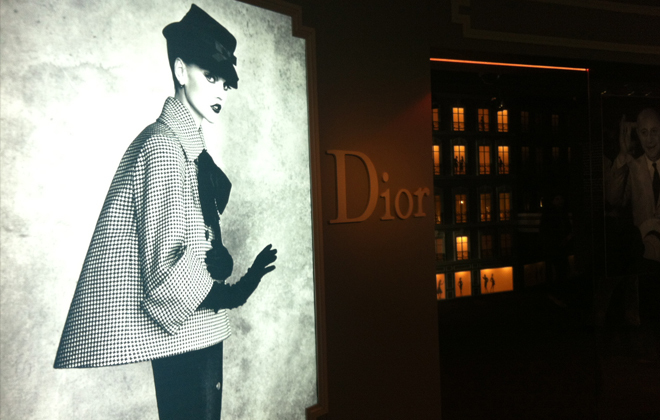 Good to be reminded of what Christian Dior intended for the brand when he created the House of Dior back in 1946. 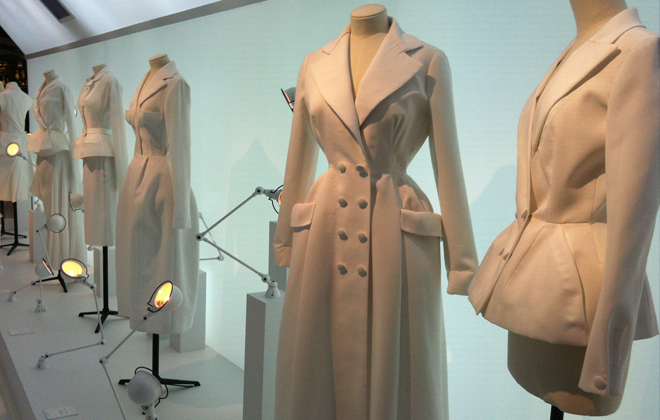 The part of the exhibit that focuses on the the history of Dior as well as the craftsmanship that goes into everything from it’s couture to the handbags was of most interest to me. 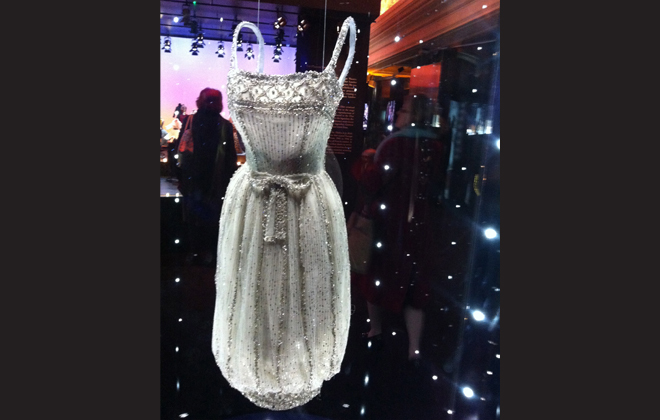 It was also fun to see dresses wore by fashion icons throughout history such as Audrey Hepburn and Princess Diana. The brilliant beadwork (and the tiny waistline!) on a dress worn by Audrey Hepburn. 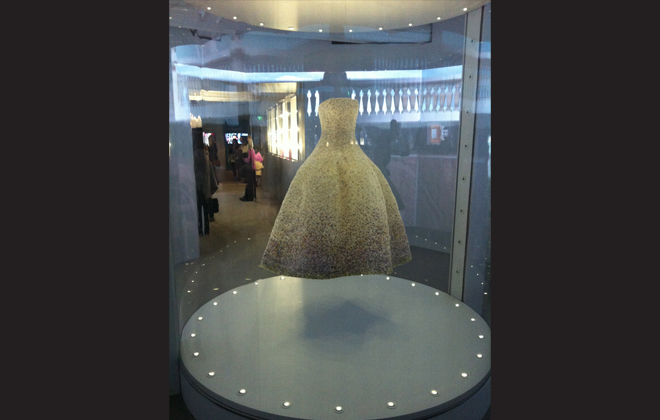 The grande finale for me was the couture dress designed by Raf Simons floating ethereally in a glass case. 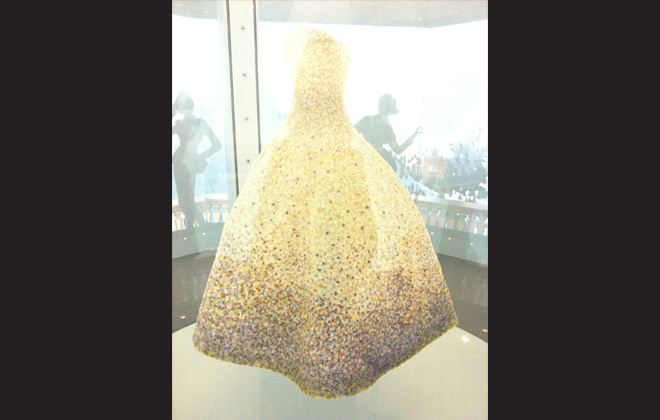 The detailing is incredible — a white organza dress embroidered with “Pointillist” layered chiffon. Can you imagine how much time and effort, let alone skill goes into a dress like this one? One can only dream of an occasion to wear something this beautiful one day. Raf Simons is a genius. 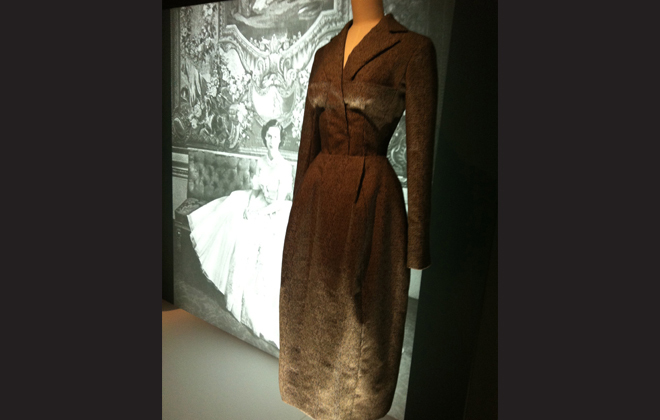 The man himself, Christian Dior, said it best: ” True luxury requires genuine materials and the craftsman’s sincerity. 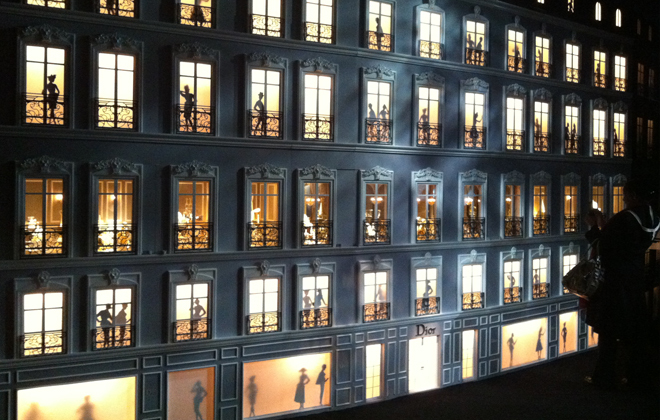 It is only meaningful when it respects tradition.” So true, and the House of Dior will continue to be explored. But next time, I don’t plan to stumble there.